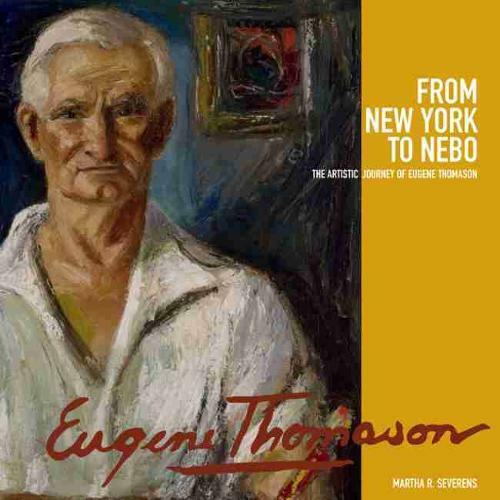 A product of the industrialized New South, Eugene Healan Thomason (1895-1972) made the obligatory pilgrimage to New York to advance his art education and launch his career. Like so many other aspiring American artists, he understood that the city offered unparalleled personal and professional opportunities - prestigious schools, groundbreaking teachers, and an intoxicating cosmopolitan milieu - for a promising young painter in the early 1920s. The patronage of one of the nation's most powerful tycoons afforded him entrance to the renowned Art Students League, where he fell under the influence of the leading members of the Ashcan School, including Robert Henri, John Sloan, and George Luks. In all, Thomason spent a decade in the city, adopting - and eventually adapting - the Ashcan movement's gritty realistic aesthetic into a distinctive regionalist style that utilized thick paint and simple subject matter. Eugene Thomason returned to the South in the early 1930s, living first in Charlotte, North Carolina, before settling in a small Appalachian crossroads called Nebo. For the next thirty-plus years, he mined the rural landscape's rolling terrain and area residents for inspiration, finding there an abundance of colorful imagery more evocative - and more personally resonant - than the urbanism of New York. Painting at the same time as such well known Regionalists as Thomas Hart Benton and Grant Wood, Eugene Thomason embraced and convincingly portrayed his own region, becoming the visual spokesman for that place and its people. Copublished with The Johnson Collection.